LL Cool J earned the title of being a trailblazer decades ago, with the iconic emcee continuing to live up to his reputation as one of the greatest to ever do it, all while helping pave the way for today's generation to excel. 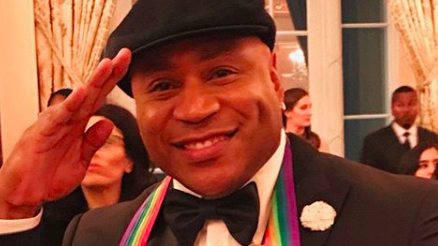 As previously reported, LL Cool J has officially become the first rapper to ever receive a Kennedy Center Honor, which is a prestigious award that recognizes the lifetime contributions of all types of performance artists. Saturday night (Dec. 2), the Kennedy Center Opera House in Washington D.C. played host to a dinner celebrating this year's honorees, with the ceremony set to be filmed this Sunday (Dec. 3). The 40th Annual Kennedy Center Honors will air in full on CBS later this month, on Tuesday, Dec. 26. This year's class of honorees is comprised of LL, Carmen de Lavallade, Gloria Estefan, Lionel Richie and Norman Lear. Taking to Instagram, LL Cool J shared a series of posts celebrating the special evening, with his caption pulling at the motivational heartstrings. "I believe that we are built to do anything we put our minds and proper actions to," LL wrote. "You have all the tools inside you that are required for you to fulfill your GOD given purpose. This one is for those who came before me and those who followed me. We were sent to this planet to love and inspire one another. Manifest our dreams and make them a reality. I hope you're inspired by me because I'm absolutely Inspired by you. Mic check 1212 Let's ride!!" Congrats to LL Cool J and this year's honorees!